It’s no secret that 4K TVs look their best when displaying 4K content. All the extra pixels create phenomenally detailed pictures and you’ll come to wish all your favourite shows and films were available at this definition. Sadly they aren’t. Not yet, anyway. But the library of easily accessible 4K HDR viewing is bigger than ever if you know where to look. Looks no further if you’ve got a new Best Buy TV sat in your living room, or an older one that isn’t being used to its full potential, and you’re wondering how to see as much 4K content as possible. Netflix and Amazon Prime Video comfortably have the largest catalogues of 4K shows and films. You’ll need to pay a subscription, but both streaming services have masses of original programming and much of it is available in 4K. What’s on offer on each streaming service changes weekly, but there are currently more than 300 4K movies and shows on Netflix. The number on Amazon is much smaller at around 50. Amazon charges a flat rate for its service, which also includes next day delivery for some products on its website. Netflix has a tiered subscription and only the priciest bracket includes 4K content. If you’re after some free 4K content, YouTube is your best bet. There are millions of videos on the app, but not all are 4K. The quality of each video is down to the creator and whoever uploaded the video to the site. YouTube recently launched YouTube Premium, which has its own original content just like Netflix. It’s more expensive at £11.99 per month, and as it’s new it doesn’t have as deep a library as Netflix. You get access to YouTube Music as part of the package, which is similar to Spotify. If you bought your TV in the past three years, it’s highly likely that these apps will be available from the TV’s app store. You can also use our Film Finder tool to see what you can watch in 4K and where. Plus, you’ll be able to compare prices among the digital rental sites to get you the best deal on pay-per-view movies and series. If you’ve got an older 4K TV or some of the apps aren’t available to download, you can get them through a TV streamer. This is Amazon’s first 4K streaming stick and it’s one of the few that support both Netflix and Amazon Prime Video. As well as giving you access to a large range of apps, it also has voice search courtesy of Alexa. It’s a wonderful addition that will be appreciated by anyone who has ever gone through the rigmarole of typing with an on-screen keyboard. A fancy remote is one thing, but the latest Fire TV Stick, which only launched in November, needs to do justice to 4K content. 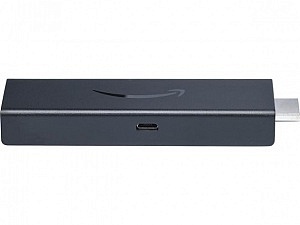 See how it did in our Amazon Fire TV Stick with 4K and Alexa review. It’s a similar size and shape, but the Chromecast Ultra works differently to the Fire TV Stick. Your phone acts as the remote. You cast from it to the Chromecast Ultra and the video plays on your TV screen. Many apps can cast to the Chromecast, but Amazon Prime Video isn’t supported. YouTube is, however, and you won’t find it on Amazon’s devices. 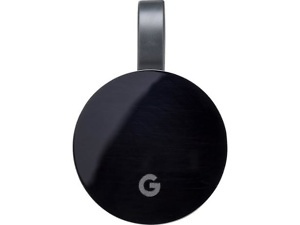 You can search for shows with your voice, but as there’s no remote you need a Google Home smart hub to do it. It’s pricier than the Fire TV Stick, but does the different method of controlling what you watch make it easier to use? Find out in our Google Chromecast Ultra review. 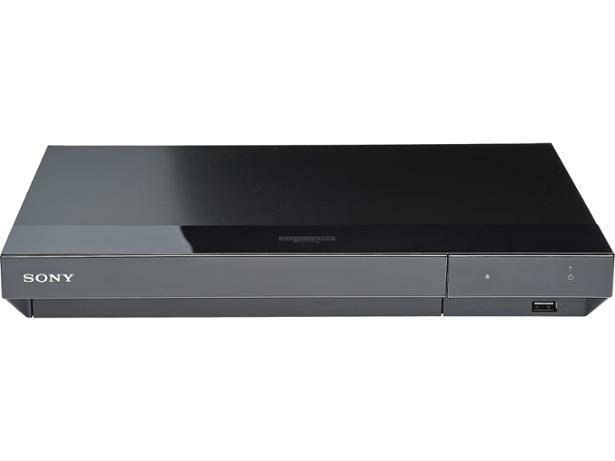 This bulkier streamer is currently the cheapest 4K model around. 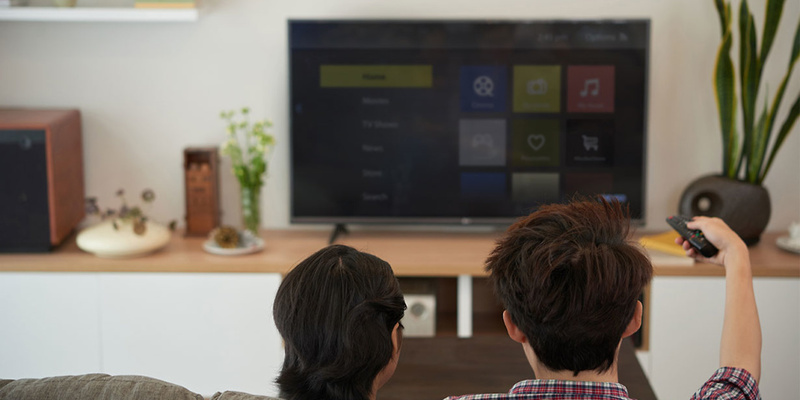 Like the Amazon Fire TV stick, you can search for content with your voice, and despite lacking Amazon Prime Video there’s still a healthy range of apps. These include Now TV, which allows you to watch Sky Movies, Sky Sports and Sky TV box sets for an additional monthly fee. Does voice search work better than it does on the Fire TV Stick, and is the 4K picture quality at the same standard as the more expensive Chromecast Ultra? Here’s our in-depth Sky Now Smart TV box with 4K review. Are there any 4K channels yet? Not free ones, unfortunately. The BBC is closest to having a dedicated channel. It even developed its own HDR format to make broadcasting it simpler, but so far its 4K output has been restricted to iPlayer trials and streamed World Cup matches. Sky and BT customers can start watching some 4K content, but only if they pay enough and have the right equipment. You get a good breadth of 4K content from Sky, including dramas, documentaries, sports and film. To watch them you’ll need the latest Sky Q box and you need to pay enough each month to get the sports and film packages. BT’s 4K content is restricted to sport. Its Ultra HD channel shows Premier League, FA Cup and Champion’s League football, as well as some rugby matches. 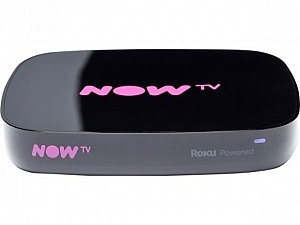 You need BT’s 4K YouView box to watch. Should you buy a 4K Blu-ray player? Streamed and broadcast 4K look good, but they will never quite match a 4K Blu-ray. It’s all down to compression, the process of making files smaller. Compression is necessary to make 4K films fit on to Blu-ray discs and stream reliably without an impossibly fast internet connection. 4K content on Netflix is more compressed than it would be on a 4K Blu-ray, largely because of how quickly the data can be transferred. Netflix recommends 25Mbps internet speeds, so that’s how fast it gets 4K video from its servers to your TV. A HDMI cable coming from a 4K Blu-ray player can transfer data at more than 100Mbps, so the information on the Blu-ray disc doesn’t need to be as compressed. That’s why 4K content on a disc will generally look better than streamed video, but that quality comes at a price. 4K Blu-ray discs and the devices that play them are expensive. Some of the players we’ve reviewed cost more than a Best Buy TV; on average you’ll need to pay close to £200. The discs themselves tend to cost around £20 for a new release and typically cost £5 to £10 more than a Full HD Blu-ray. It pays to be selective: streaming services are perfect for a rom-com or drama when it isn’t massively important how good it looks, but it’s worth splurging on a 4K Blu-ray for something visually spectacular, such as Blade Runner 2049 or Avengers films. Take a look at all our 4K Blu-ray players reviews to find a Best Buy that suits your budget.